National studies show that students who are aware of the wide variety of science careers available, and the vibrant women and men involved in science today, are more likely to stay interested in science, technology, engineering, and math (STEM) and to consider a STEM career. 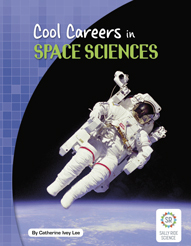 In response, we have created the Cool Careers in STEM book series, which fuels student interest in STEM. Each title introduces students to 12 scientists or engineers who share their stories and personal photographs. Accompanying each biography are STEM- and career-related activities for students. From microbiologists, bioengineers, and plant scientists to biochemists, conservation biologists, and biotech reporters—the women and men who work in biotechnology come from many different backgrounds. 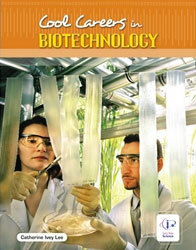 This book introduces students to 12 women and men working in biotechnology. They talk about their interests growing up and the people who inspired them. They pass on the excitement of working in biotechnology and the wide variety of careers in this field. This book introduces students to 12 women and men who study Earth. They come from many different backgrounds and many different fields. 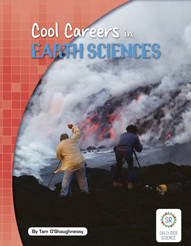 Earth scientists include geologists, geophysicists, climate scientists, science illustrators, engineers, geochemists, and more. They climb volcanoes to sample oozing lava, dive in submersibles to map the seafloor, analyze air bubbles trapped in ice sheets, and use satellites in space to measure Earth’s slip-sliding plates. The 12 women and men profiled in this book describe what they do, how they got into the field, and why they enjoy it. An engineer is behind just about everything around you—hybrid cars and laptop computers, wind turbines and tennis rackets, roller coasters and rockets. The women and men who work in engineering come from many different backgrounds. This book introduces 12 engineers who describe what they do, how they got into the field, and why they enjoy it. They pass on the excitement of engineering. Engineers are designers, builders, and inventors. An engineer is behind just about everything around you—hybrid cars and laptop computers, wind turbines and tennis rackets, roller coasters and rockets. The women and men who work in engineering come from many different backgrounds. This book introduces 12 engineers who describe what they do, how they got into the field, and why they enjoy it. The men and women who study Earth’s environment come from many different backgrounds and many different fields. They sail the seas collecting water samples and surveying marine life. They trek into forests, wade through streams, and hike across sea ice to study creatures and conditions. 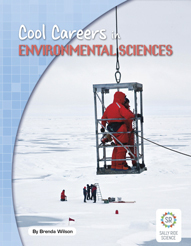 This book introduces students to 12 scientists and engineers working in environmental sciences. They describe what they do, how they got into the field, and why they enjoy it. The men and women who study Earth’s environment come from many different backgrounds and many different fields. They sail the seas collecting water samples and surveying marine life. They trek into forests, wade through streams, and hike across sea ice to study creatures and conditions. 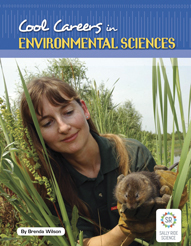 This book introduces students to 12 scientists and engineers working in environmental sciences. They talk about their interests growing up and the people who inspired them. From chemists, biologists, and ecologists to environmental policymakers, chemical engineers, and science writers—the women and men who work in green chemistry come from many different fields. They share one belief—First, do no harm. 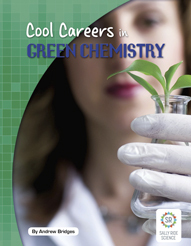 This book introduces students to 12 men and women working in green chemistry. They describe what they do, how they got into the field, and why they enjoy it. The women and men who work in information sciences come from many different fields. They include computer scientists, lawyers, mathematicians, cognitive scientists, technical writers, and network architects. They design software systems to protect private and sensitive information. They create groupware so people can collaborate over long distances. They develop computer database libraries. 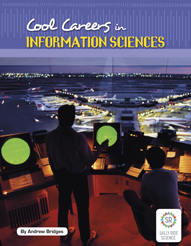 This book introduces students to 12 women and men working in information sciences. The scientists and engineers talk about what they do, how they got into information sciences, and why they enjoy their work. Math can answer all sorts of questions. How much water is melting glaciers in the Himalayas? What’s the fastest path to Pluto? When will the human population reach 10 billion? 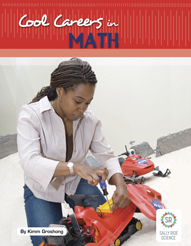 This book introduces students to 12 women and men who use math in their careers. The mathematicians, scientists, engineers, and technologists describe what they do and why they enjoy their work. They encourage students to think about their own interests and future careers. 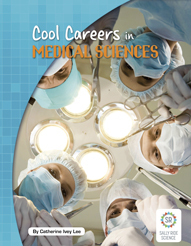 This book introduces students to 12 women and men working in medical sciences—from surgeons, bioengineers, and physical therapists to medical reporters, epidemiologists, and more. They talk about their interests growing up and the people who inspired them. They pass on the excitement of working in medicine and the wide variety of careers available. Physicists explore the basic nature of the Universe and everything in it—from the mightiest star to the tiniest subatomic particle. The people who work in physics come from many different backgrounds and work in even more fields. 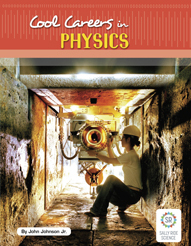 This book introduces students to 12 women and men working in physics. They talk about their interests growing up and the people who inspired them. They pass on the excitement of working in physics. The women and men who explore space come from many different fields. They include astronauts, engineers, geologists, planetary scientists, space reporters, and more. 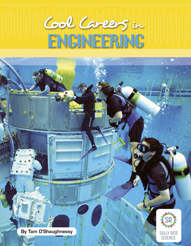 This book introduces students to 12 men and women working in space sciences. They describe what they do, how they got into space science, and why they enjoy it. And they encourage students to think about their own interests and future careers. 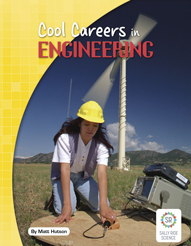 Each of the six Cool Careers in STEM books focuses on a broad area of science, technology, engineering, or math and introduces students to the lives of 12 women and men from diverse backgrounds doing exciting work in STEM. Together the six books—featuring 72 scientists and engineers—foster student interest in STEM and STEM careers. Students learn that the people working in STEM today come from all walks of life, represent all levels of education, and are involved in all kinds of careers—from biology, chemistry, physics, and engineering to cross-disciplinary careers like oceanography, ecology, geophysics, and bioengineering.